‘Tis that time once again, International Talk Like A Pirate Day Tide be here. Ye better learn t’ talk like a seafarin’ hearty today or else ye`ll look like a fool. Raise yer grog mugs an’ celebrate. 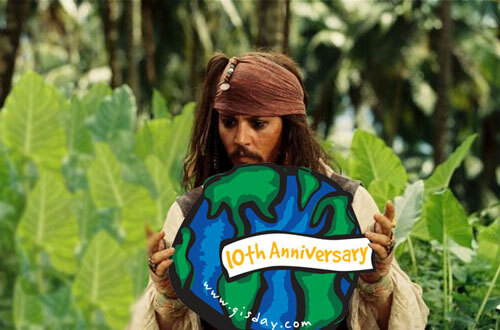 If Captain Jack Sparrow can take th’ time t’ get involved wi’ his local GIS Tide presentations, ye can talk like a seafarin’ hearty. Captain Jack is teaching is crew about GIS today.